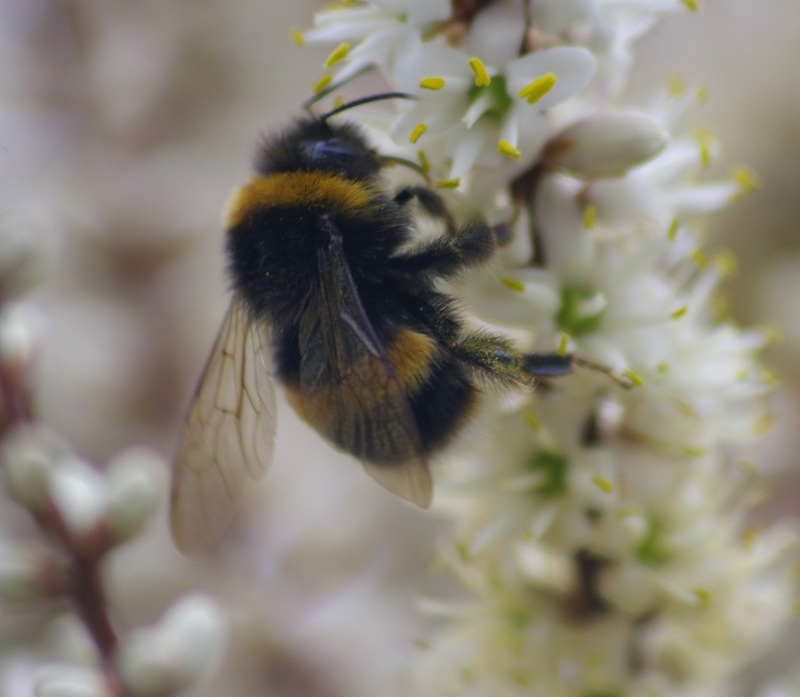 With warmer weather expected at this time of year, animals and insects will thrive and we can expect to see increased insect activity including Bees and Wasps. There are several hundred different types of bees that can be found in the UK and they can be classified into groups. One of the main groups are social Bees and these can include both Honey Bees and Bumble Bees. Honey Bees are very sociable and can live in groups of up to 50000 including a Queen, workers, drones and of course larvae, pupae and eggs. They are normally associated with bee hives, but can be found living in the wild in any suitable habitat including old trees and even buildings. Bees are very beneficial to the environment and can go about their business often un-noticed, it is only when a swarm occurs that they really grab the attention! 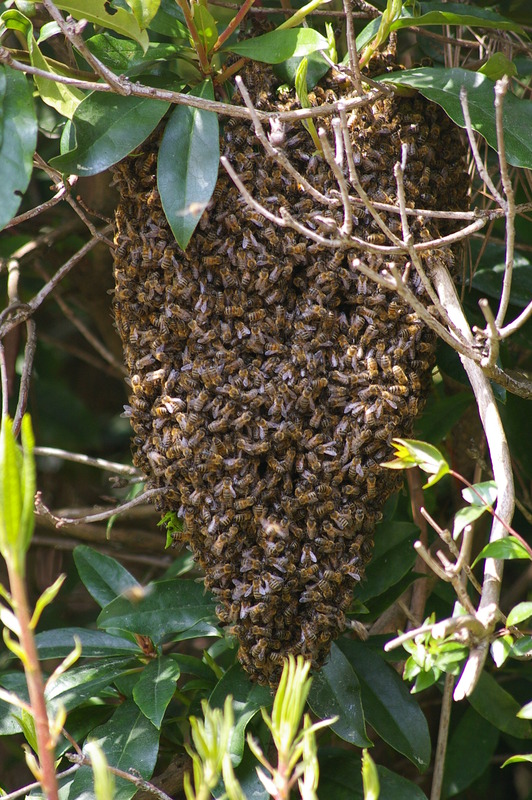 Swarms are caused when a colony becomes so overcrowded that a Queen takes off with part of the original colony to locate and establish a new nest. Before departing, all of the Bees will fill up on nectar for the journey. The workers will form around the Queen, who is not a strong flyer, so at some point will have to rest and will settle on any convenient bush, branch or building. 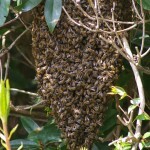 When this happens it is important to remain a good distance from the swarm, as if threatened, the bees may well sting. 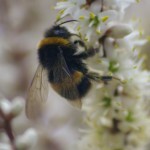 Bumble Bees live in smaller social groups of up to 150 and suitable habitat includes sheltered spots including dry compost heaps, under or in garden sheds and in buildings. 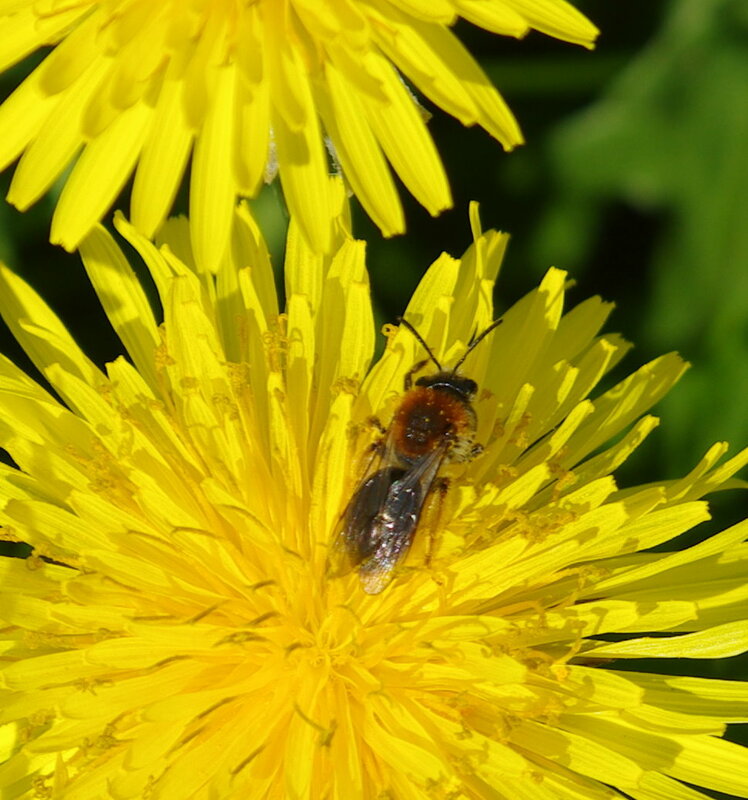 Another group are Solitary Bees, these, as the name suggests, live alone and can be found in holes in the ground, wood, cliff or quarry faces and masonry including bricks and mortar. It can be confusing as often holes can be found close together in suitable habitat suggesting a colony. 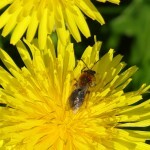 Solitary Bees are generally harmless and are beneficial to the environment. Both males and females are active from late April until mid – June and on warm sunny days they can be seen busy constructing a chamber, where they will lay their eggs, stock with nectar and pollen before finally sealing it. The eggs hatch as larvae and feed on the supply of food left in the chamber before finally pupating into a Bee which may take up to a year. The adult Bees will only live for a short period of time and by July would have died, before the offspring emerges. 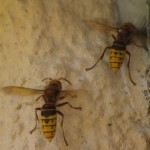 As with any nesting insect or animal, Bees can be very protective and could cause harm or injury and nests or swarms should be avoided, not least if confused with Wasps. If in doubt always seek advice. 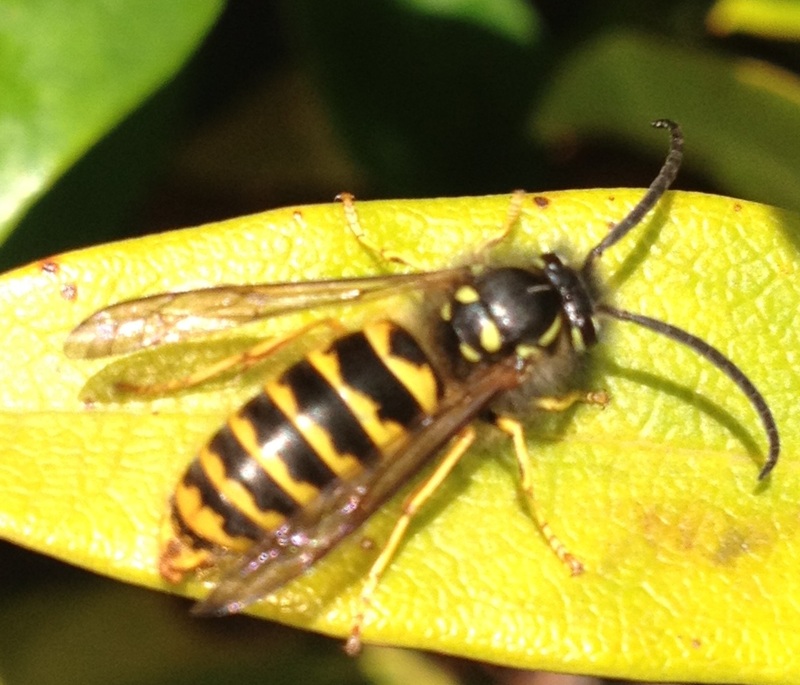 The common wasp is a highly sociable insect living in colonies containing a single queen wasp and many workers (females) and drones (males) and is recognisable by its yellow and black stripes. In some extreme cases one colony can consist of a nest with up to 10,000 individuals! 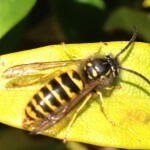 The fear of wasps is known as spheksophobia. Nests can be found at all levels, outside and inside buildings, in trees, bushes and hedges. 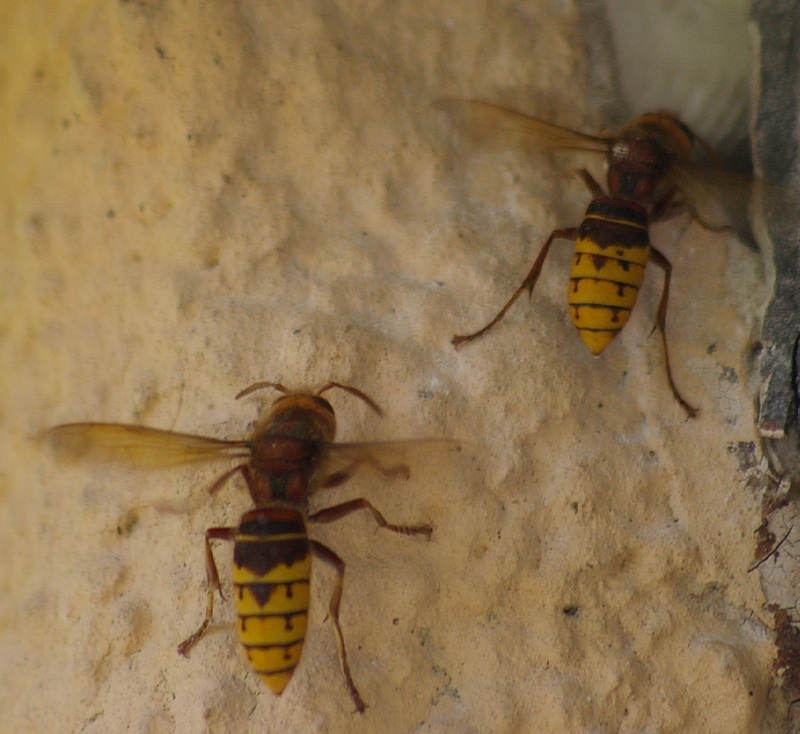 The Hornet is twice the size of the common wasp and is usually brown and yellow. When flying, the wings can be easily heard! Nests are normally in hollow trees and they prefer wooded areas, however they will nest in properties if suitable. They can be very aggressive if threatened.